If the scouts are able to complete the above requirements and activities, they will have achieved their Fitness Activity Badge and also their Physical Fitness Belt Loop. Cookout dinner for the den and families. 1. 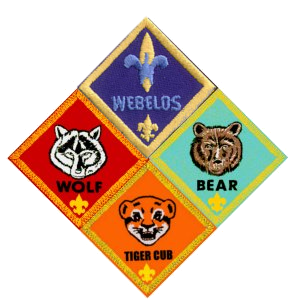 Scout must take part in a Webelos Overnight Campout or a Family Campout (upcoming opportunity to do this is Webelos Weekend Oct 5th-7th). If your not able to participate in this or any other past campouts, the scout and parent must campout together to meet this requirement. Our goal is to have this activity badge completed by the end of September.